Our Mom, Vicki Jeanne (Patnaude) Carlisle, passed away peacefully on October 25, 2018 after a courageous battle with brain cancer. Mom was born in Methuen, MA on March 6, 1963 and was raised in Lawrence. She was educated by St. Augustine School, Lawrence Public Schools, and Northern Essex Community College. Her recent employment was with Market Basket and she was previously employed by Polartec. Mom very much enjoyed her recent family travels to the Caribbean, Florida, the White Mountains, Maine, and camping. She also enjoyed gatherings with her daughters and grandchildren and her extended family. She loved animals, especially her cat, China, and her dog, Sargeant. Speaking to Mom’s character, she had an unconditional love for every person she knew. She was kind, compassionate, and gave her loving heart to all. She was always there for everyone, especially if someone was living in hard times, she would take them in and help them get back on their feet. She didn’t have much materially or monetarily, but always said with passion, “I don’t have much, but I have my husband and three daughters, I can pay my bills and put food on the table, that’s all I need. I love my life.” Mom requested that we wear white or light colors to her service to celebrate her life that she lived and loved with us and her new life she is going to. Mom believed, and we believe, that she has gone Home to the Eternal City of God to be re-joined to Jesus, Mary, all the Saints, and her beloved husband, and her brother. We love you, Mom! Prayers for each other until we are all joined together. Mom is survived by her mother, Margaret (Duggan) Patnaude, and her father, Robert Patnaude and his wife, Sharon; her three daughters, Chablis Roy and her fiancé, Joseph DeLaCruz of Portland, ME, Quianna Zaetz and her husband, Justin of Lawrence, and Destiny Carlisle of Lawrence. Also among her survivors are her grandchildren, Gliselle Rivera and Michael DeLaCruz of Portland, ME; her sister, Irene Moschetto and her husband, Peter of Lawrence; her brother, Michael Patnaude of Wells, ME; and her sister, Cynthia McDermott of Derry, NH. Mom also leaves many loving in-laws, nieces, nephews and friends. Mom was predeceased by her husband of seventeen years, Stephen M. Carlisle, who passed away three weeks ago. She was also predeceased by her brother, Robert Patnaude. On behalf of Mom and our family, we have the greatest of gratitude for her medical team of doctors, nurses and aides at Penacook Place in Haverhill, MA, and the medical team and staff at Beacon Hospice. There was a true mutual love for our mom from each and every person that cared for her. This brought her and our family great comfort knowing she was safe and cared for and truly loved by the most compassionate staff anyone could ask for. THANK YOU! Relatives and friends are respectfully invited to attend visiting hours on Friday, November 2, 2018 from 5:00-8:00 PM at Cataudella Funeral Home, 126 Pleasant Valley Street in Methuen. A funeral service will be held on Saturday, November 3, 2018 at 10:00 AM at Free Christian Church, 31 Elm Street in Andover. Burial of Vicki and her late husband, Steve, will follow at the Immaculate Conception Cemetery in Lawrence. 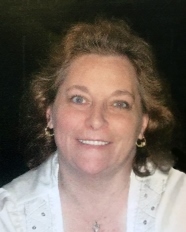 In lieu of flowers, memorial donations may be made in Vicki’s memory to her youngest daughter Destiny Carlisle Memorial Fund at TD Bank, 228 Haverhill St., Methuen, MA 01844.